It's always a pleasure to spend the 4th of July morning riding with Jim Putnam and company, and we had a great turnout on Saturday to prove it. Once again, many thanks to Jim for another memorable holiday ride! We have a "double-header" planned for this weekend. 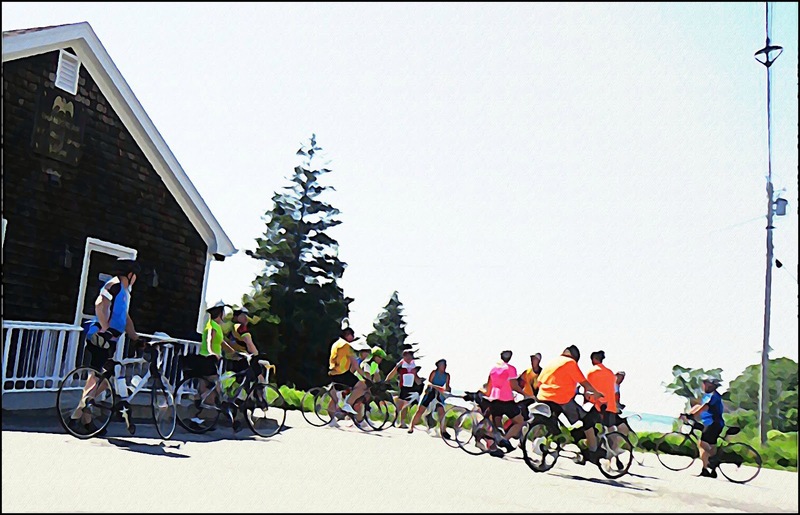 This Saturday's KVBC ride will return to the scenic Pemaquid Peninsula with a great ride along the shore. There will be a follow-up ride on Sunday around Boothbay. These routes are not only scenic, but also a great trip to the coast, and there are many great places to stop and see the sights. Contact the ride leader for suggestions for overnight accommodations. Hope you can join us for one or both of these rides! 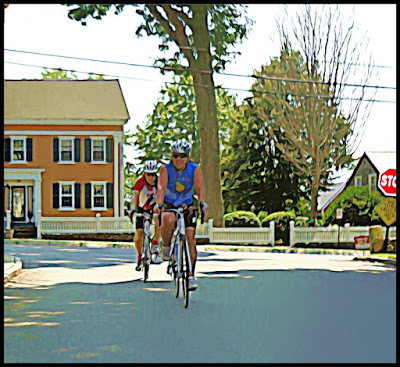 "Drafting Through Damariscotta" - a tour through Bristol, Bremen, Pemaquid and Damariscotta. START: 10:00 AM at Hannaford's supermarket, 469 Main Street (Business Rt. 1) in Damariscotta. TERRAIN: Moderate to rolling with no major hills. HIGHLIGHTS: scenic roads within the Pemaquid Peninsula, fresh and salt water views abound. "Bicycling Through Boothbay" - a seaside tour around Boothbay, Barter, Sawyer, and Southport. START: 9:00 AM at the Knickerbocker Boat Landing, off of Knickerbocker Road just north of the Coastal Maine Botanical Gardens. HIGHLIGHTS: more ocean views and seaside villas, plus a stop for lobster rolls at the Trevitt General Store. For more information on the Kennebec Valley Bicycle Club, contact Jim Merrick at 293-3784 or hjmerrick@gmail.com or visit the KVBC Facebook page.